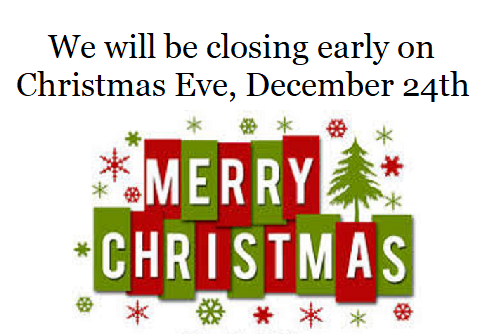 We will be closing early on Christmas Eve, Monday, December 24, 2018. We are closed on Christmas Day, T uesday, December 25. 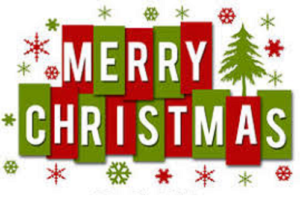 We will reopen on Wednesday, December 26th at 9:00 a.m.